Christmas Eve is one of those magical times for most of us, when we come together in peace and love with friends and families as we celebrate a special occasion and pause, for just a moment in time, to reflect on all that is good. But for one small creature this year December 24 was a turning point in his fragile young life, and one that could have ended in the saddest of ways. 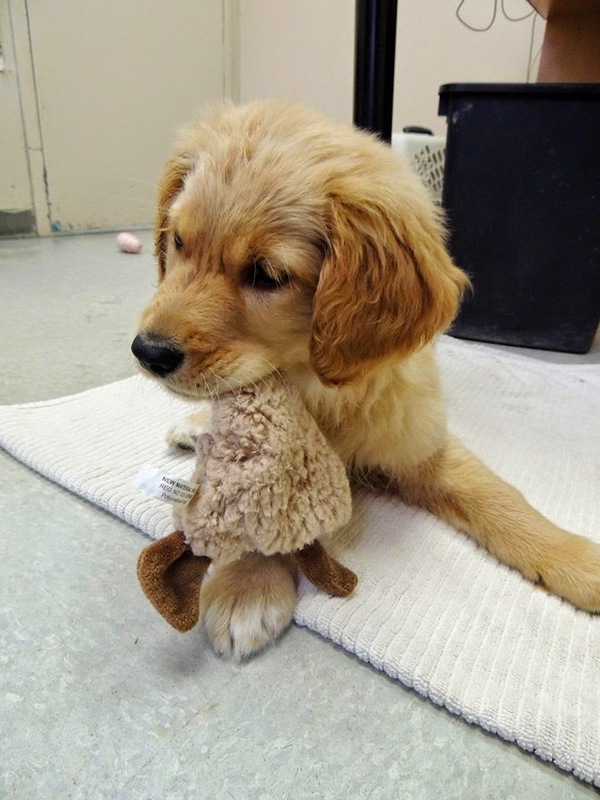 Named after the Dickens character for whom the future was so uncertain, he was found in a dumpster on Christmas Eve, saved by a kind soul who saw a tiny retriever puppy in distress and did the only thing one can do in such circumstances – rescued him. Tiny Tim, as the little pup has been named, was in desperate need of rescuing, too. 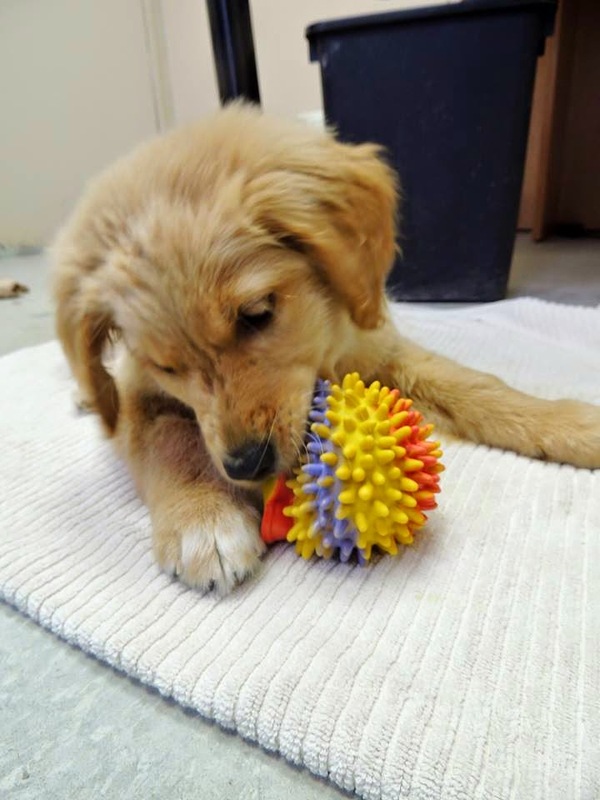 Now under the care of the loving folks at the SPCA, Tiny Tim was suffering from pneumonia and pulmonary edema, a condition normally associated with some form of trauma. He was, to be frank, close to death, exposed to the extreme cold, likely thirsty and hungry, and, perhaps most of all, alone, a tiny pup left to die in a dumpster. I worked in veterinary clinics for over a decade. I have seen some horrific things in that time, things that made me realize, if not comprehend, the kind of cruelty human beings can commit on other creatures who share this planet with us. I will not pretend I did not shed tears in those years, as I did on far more occasions than I like to recall. Hearing the tale of Tiny Tim brought those memories flooding back, thoughts of severely injured animals who suffered abuse at the hands of those they trusted to care for them. It is said that our society will be judged by how we treat the most vulnerable – children, the elderly and animals. I believe this to be fundamentally true, because how we treat those who cannot protect themselves is very telling of our nature, our beliefs and our values. Once I had someone tell me that they were appalled at how animal abuse engendered such anger because they did not see the same thing occur when children were abused, but I could only reflect on how wrong they were as they did not understand the intrinsic link. I recalled the times our veterinary clinic was involved in investigations of animal abuse, and how those investigations often led to the discovery of domestic violence in the homes from where the animals came. Those who do not understand that those who abuse animals can – and likely will – abuse humans fail to understand the link between these acts, and the basic lack of empathy that lies within the hearts and minds of perpetrators of animal abuse. I don’t know how someone tosses a tiny puppy in a dumpster and walks away. That is beyond imagining to me and raises the kind of fury within me that I try to keep in check but that surfaces when I see such egregious abuse or such a horrific injustice done to an innocent creature. I do know, though, that someone reached in and fished out Tiny Tim, and his fragile life was saved in the nick of time. I wish I could say this is the only time this has or will occur in our community, but it has happened before and it will likely happen again. Were it not for the kindness of good Samaritans who pull puppies and kittens out of dumpsters and for organizations like the SPCA, creatures like Tiny Tim would likely perish. And perhaps there are those who think it is only the life of one tiny pup, but the reality is that one tiny life and how we treat it may well be the way our society is judged when history looks back on us. 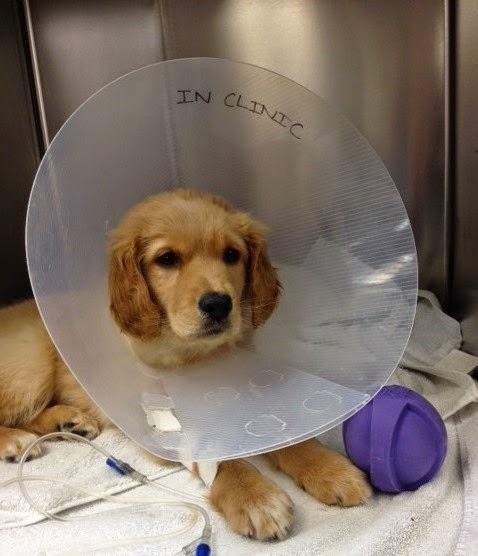 Tiny Tim spent some time in veterinary care and is now with the good people of the SPCA to continue his recovery. His prognosis, initially tenuous, is still guarded, but they are hopeful he will make a full recovery and find his forever home with someone who will love him fiercely and who will ensure that through a life of long walks, cuddles, treats and love that he forgets his time spent dying in a dumpster. The SPCA has a fund set up specifically to help pay for the medical treatment of creatures like Tiny Tim. The costs for his care are significant, and I would encourage you to visit the SPCA website to donate and help pay for his treatment and for the treatment of other animals like him who are found in similar circumstances. In Dickens’ novel A Christmas Carol the fate of Tiny Tim rested on the acts of others, in his case specifically on Scrooge, who had the opportunity to decide little Tim’s fate through his actions. Whether Tiny Tim lived or died was up to Scrooge, and of course in the end Scrooge realized that he had a responsibility to others. Scrooge realized that how he would be judged would depend on the fate of one tiny life. There is a powerful message here, one that applies to a tiny retriever puppy found in a dumpster on Christmas Eve. How we will be judged depends on the lives of creatures like Tiny Tim, and all the other vulnerable creatures on this earth – and every year as we celebrate Christmas and read or see the tale of Scrooge we are reminded of it. How very fitting, then, that this tale will hopefully have a happy ending, in the form of a small wagging tail and a rescued puppy who reminds us all of our role in protecting the vulnerable in this community. I too was extremely saddened by this news of someone being so cruel and heartless to do this to a living being. To the person/people who found him, you are true angels. I agree with everything you said wholeheartedly and encourage people to help Tiny Tim out with the financial costs. The SPCA relies on the community to help out and I am so thankful that he is in their wonderful care. I can only hope that whoever did such a thing will surely be paid back tenfold. God love you, Tiny Tim.